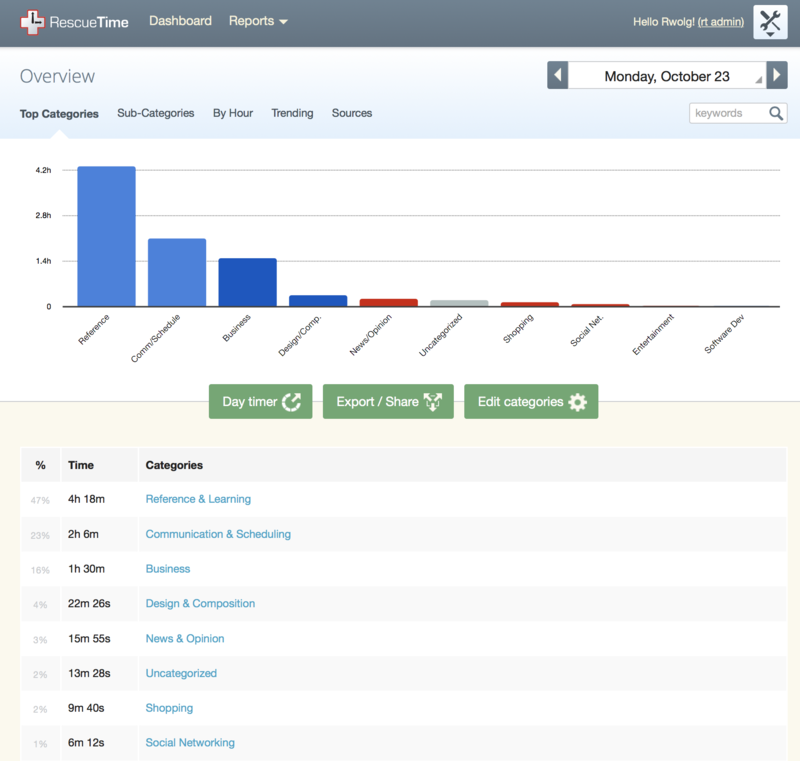 The Categories report shows you have spent your time among the different activity categories. Click on a category name to see a breakdown of activities within that category. 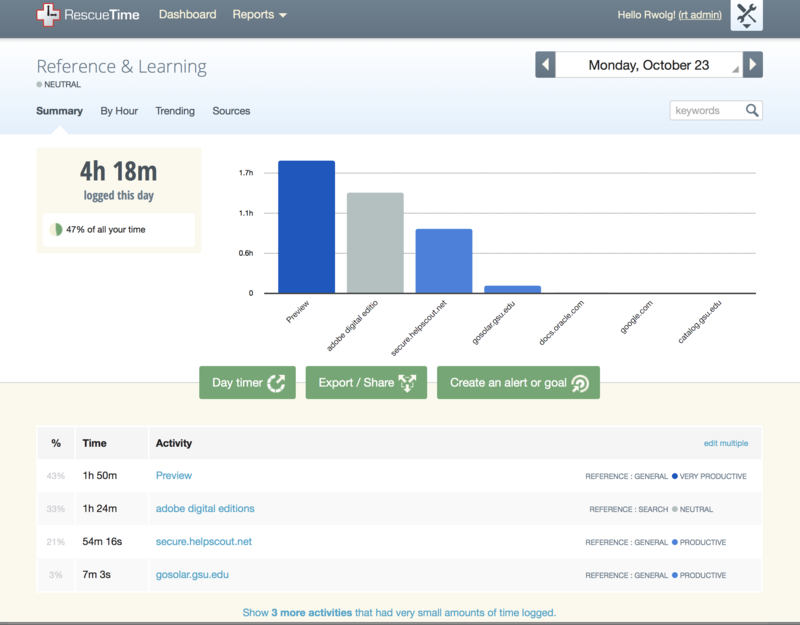 Premium users can use the "Create an alert or goal" button to do that for the category represented. On the main Categories report page, use the Sub-Categories tab to view details for sub-categories within the top-level categories. 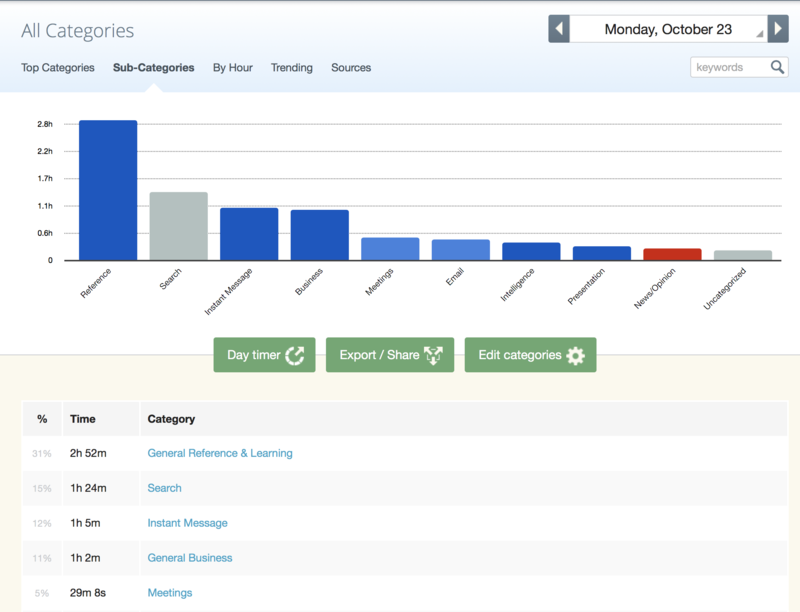 The Edit Categories button will take you to a page where you can change the categorization of the recorded activities. For additional details on page buttons, tabs, and functions see the Applications & Websites report.